Megan's Tiny Treasures: Triple Celebration! It is a great feeling to think so many people are visiting your blog and admiring your work. Congratulations. Awwww your bird houses are Adorable Megan and what a proud moment for you having reached so many miniature enthusiasts via your blog! That is great praise, coming from you Elizabeth, thank you! Congratulations with the excellent viewing ratings :-). It's great that so many people visit and like your work and blog! And your birdhouses are so cute. Congrats with this WOW! result of viewing ratings, Megan :D So nice to read (and for you it's heartwarming) that lots of people visit your blog and like your work. Thank you Ilona, I'm sure you have thousands more followers ;-) With great people like you around, I will always feel like the new kid on the block. Wow Megan! It is a truly comprehensive tutorial loaded with great ideas and gorgeous photos! Excellent work! I am going to really enjoy the process, and will definitely post a review! 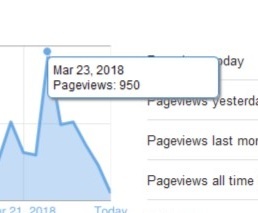 Congrats on all of the new traffic! Your blog is one I really look forward to, so am not at all surprised that so many others enjoy it too! Keep up the great creativity and please keep sharing! Thank you, Jodi! And thank you for buying and reviewing my tutorial! Congratulations Megan! Thank you for the massive discount on your little birdhouse tutorial. I have just made a purchase and love everything about it, particularly the grass and so pleased to have different size templates as I need the 1/16th scale. Just off to leave a review! Thank you, Marilyn! And thank you for buying and reviewing my tutorial. I hope you will have fun making birdhouses. Congrats on reaching these landmarks - even more important these days where blogland gets deserted more and more. 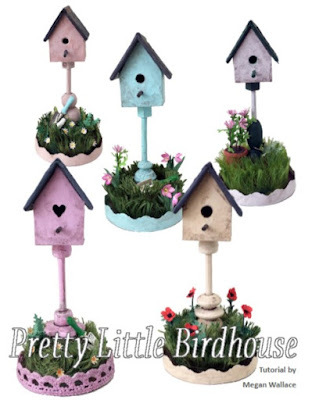 Your pretty birdhouses on parade are true eye candy. Thank you, Birgit! I wonder whether blogland will be deserted though. People are moving away from things like Facebook, and with great services like Bloglovin where one can read all your followed blogs in one place, it becomes easy to follow blogs again. Whether people read or not, I will always be writing!